The Huntington Surf Inn is located on Huntington Beach, in California, in the United States. This surfer hotel has rooms decorated in a Southern California style. The hotel has several types of double rooms with their own bathrooms. 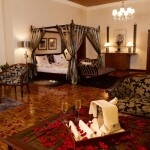 The rooms are decorated in a traditional Southern California style, filled with colours and flowers. The hotel has nine rooms. 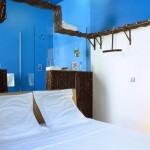 Each room has a theme, and there are decorations in the shape of surfboards. 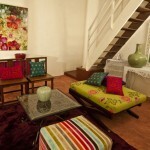 The rooms have Internet access, a fridge and a flat screen television set. Guests will be able to enjoy views towards the ocean. Price is around 171€ per night. Room 1 has a large kingsize bed. 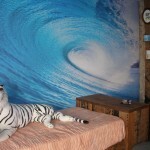 This rooms has a surf theme, decorated with surfer murals and surfboards, and has views towards the pier and the Pacific Ocean. 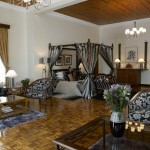 Room 2 is a red room that has two queensize beds, a chandelier and black and white furniture. This room has views towards the pier. Several rooms were decorated and designed by Antonio Ballatore. 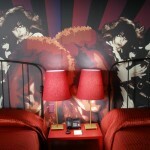 Room 3 was designed by Antonio Ballatore for Nike, and another room is dedicated to Jimi Hendrix. This room has two queensize beds and a fridge. There is a mural of Jimi Hendrix and a mural with several beaches. Room 4 has two queensize beds. 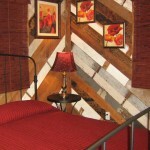 The wrought iron beds are covered with a bright red duvet, and the room itself has yellow decorations. Room 5 has a large kingsize bed. The furniture in this room was built using recycled wood from the city’s destroyed buildings. The room is decorated with several surfboards and waves, dedicated to Surf City, the surfing town the hotel is located in. 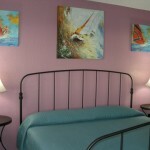 Room 6 has two iron queensize beds and paintings of local flowers. Room 7 is a blue room with two queensize beds and a large carpet. Room 8 is an oasis of blues and reds with a large kingsize beds. 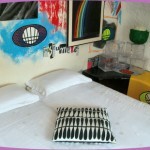 This room has its own fridge and a lounge area with several colourful murals. Room 9 has a kingsize bed. This ecological room is dedicated to the state of California. 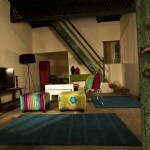 The furniture is made from recycled wood and the other decorations are made of reused materials. The large windows have views towards the ocean. 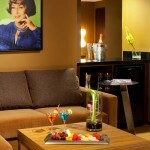 A short distance away from the hotel guests will find several bars and restaurants. Each room has a fridge where guests will be able to store their food. The hotel has a terrace with lounge chairs and views towards the ocean. Guests who choose to relax on the terrace will be able to enjoy views towards the beach filled with surfers and the harbour. 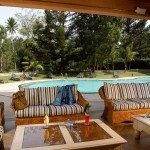 This hotel is one of the most visited hotels in the region by surfers. 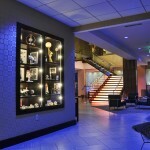 During surf championships the hotel is filled with surfers, and surf conferences are organized at the hotel. 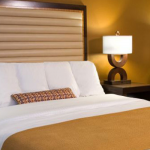 The hotel is located near Huntington beach, one of the state’s most visited beaches by surfers. Guests will be able to take long walks by the beach and enjoy views towards the Pacific Ocean. There are many places where guests can rent surfboards. The US Open of Surfing is organized nearby. The hotel is located near the pier. 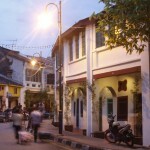 A short distance away lies the Main Street, filled with bars, restaurants and shops. There are several beaches near the hotel. Guests will be able to enjoy many water sports. 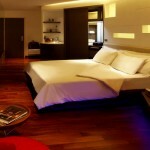 Hotel Lit is located in Bangkok, in Thailand. 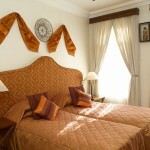 The hotel has several double rooms with colourful lights, themed decorations and views towards the city. The hotel has a designer façade in the shape of a large aluminium block. The façade is illuminated in several colours, and the colourful lights are the hotel’s main theme. There are several types of rooms. There are double rooms with their own bathroom and décor. 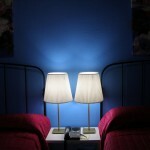 Each room has lights that can change the room’s colour. 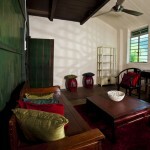 There is air conditioning, DVDs, a television and coffee and tea making machines in each room. 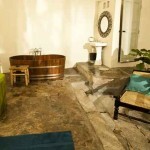 The bathroom have a bathtub with a shower and guests are provided bathrobes. 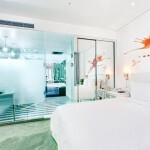 The 25 Extra Radiance rooms are the hotel’s double rooms. 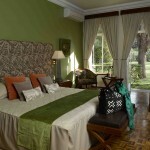 Each rooms has a kingsize bed, large windows and a bathtub with lights, and the price is around 72€ per night. There are 44 Degree rooms that have a double bed. 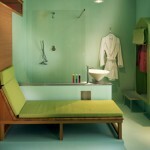 These rooms have furniture decorated with many colours and colourful lights that illuminate the bathtub and shower, and the price is around 100€ per night. 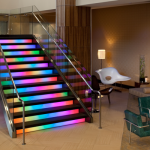 The hotel has five Full Spectrum Suites. 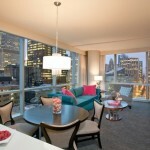 The suites are larger, with bright decorations and furniture. 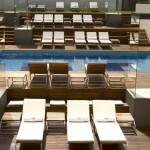 Each suite has a terrace with a green bed, and price is around 136€ per night. 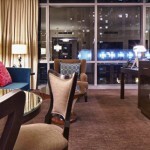 The five Triple Luxe Suites are large suites that can accommodate up to three people. 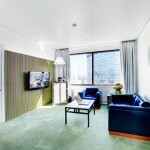 Each suite has a large kingsize bed and a living room with a green sofa bed. 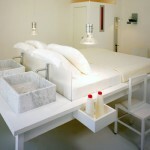 Price is around 154€ per night. 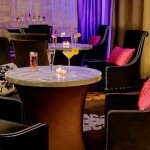 The hotel has a bar and a designer restaurant where guests will be able to enjoy Thai food. The hotel offers a selection of cocktails, tapas and international and national dishes. The Steppe Fiesta Bar is a bar with a large terrace. 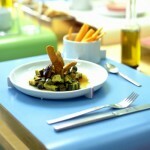 Guests will be able to enjoy cocktails, traditional food and tapas. The bar is decorated with green furniture and has a garden. The restaurant has views towards the city. The BCDE restaurant, the Bistro of Creative Drinking and Eating, is a bistro where guests will be able to enjoy Thai food and international food. The bistro offers breakfast, lunch, tea and dinner. Events can be celebrated at the bistro. The inside of the hotel is filled with colour. 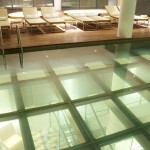 The hotel has a designer pool with views towards the city. Next to the pool there is a lounge area. The hotel’s spa is the Kiriya Spa, where guests will be able to relax. 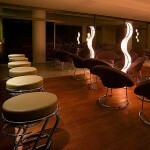 The spa offers massages and many treatments using traditional methods. The hotel has a gym with two changing rooms, one for men and another one for women. 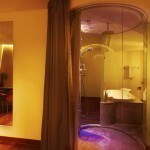 There is a jacuzzi for men and a jacuzzi for women, and guests will be able to use the two separate steam rooms. The hotel has a large conference hall. The equipped hall has Internet access. Next to the hall there is a business center with a fax machine, a printer and a photocopying machine. The hotel offers a transfer service to and from the airport. 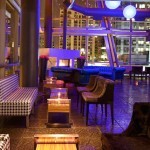 In the lobby guests will be able to purchase tickets and tours, and the hotel offers a car rental service. There is currency exchange counter. The hotel is located in the center of Bangkok. A short distance away from there hotel guests will find the National Stadium. 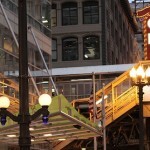 There are several transport links between the hotel and the rest of the city. 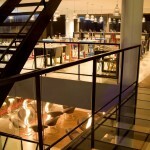 Guests will be able to explore the city, its many bars, restaurants and shopping streets. The hotel offers bus tours and walking tours around the historic city center. The Museumotel Motel is located in Roan L’Étape, in the south of France. 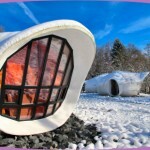 The hotel has several rooms in the shape of a large bubble, and each room has its own design. The motel has several bungalows in the shape of colourful bubbles. 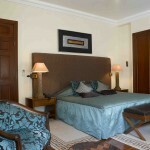 Each bungalow has a double room with a bathroom and a theme. 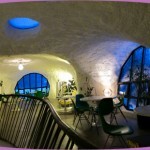 The bubble rooms can be rented for several nights. The main bubble, where the reception area is located, has Internet access. The hotel has a large private garden where guests will be able to walk. Price is between 70 and 170€ per night. The hotel has nine bungalows in the shape of bubbles and eggs. Six of the bubbles are smaller suites that can accommodate up to two people. These bungalows have a hall, a double room with two beds, a bathroom with a shower and a closet area. 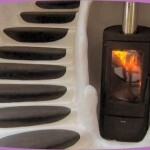 Three of the bubbles are larger than the rest and can accommodate up to five people. The large bubbles have an arched doorway, a master bedroom with a double bed, a bedroom with a bunk bed, a bathroom with an Italian shower and a closet area. The Purple Bubble follows Verner Panton’s style, known for his use of organic figures. 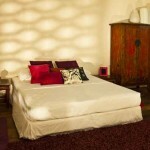 This bubble is decorated with phantasmagorical designs and has a large round bed. 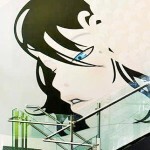 The Pop Art Bubble is filled with bright colours, murals and many portraits. The bed is decorated with many colourful cushions and a bright cover. 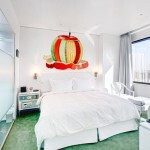 The Zen Bubble is decorated in light pastel colours and has a Japanese design and oriental decorations. This bubble is known for its wave shape. The Fifties Bubble is a retro bubble. The inside of this bubble has many vintage murals and part of its furniture is bright vinyl furniture. The Orange Bubble is a filled with colour and light. The orange bubble has retro decorations and there is a model of a car on the ceiling. The Star Bubble is a blue bubble. 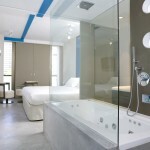 This bubble has many reliefs and guests will be able to relax in this room decorated as the outer space. The Chlorophyll Bubble is a large green bubble. There are many plants and the bubble’s window has views towards the river that flows near the hotel. The Love Bubble is a red and white bubble. 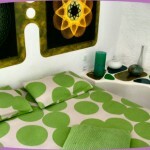 Inside the bubble there is a large double bed and the room is decorated with several mirrors. Guests will be able to enjoy a coffee at the L’Utopie Coffee Shop. This bar has terrace with views towards the gardens. 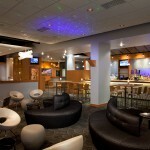 The bar offers a selection of cocktails and snacks. The hotel can prepare picnic baskets for guests who want to explore the nearby towns. Guests can spend an afternoon in the countryside. Conferences and events can be organized in the Mojo Hall. This hall is located on the ground floor of the main bubble and has several chairs and tables. Events can be celebrated at the hotel. 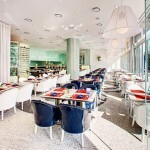 Conferences, dinners and other celebrations can take place in the bar, in the main hall and on the hotel’s territory. Large events can be organized at the hotel. There have been art exhibits, antique car exhibitions, concerts, performances and presentations. The motel is located on an island, with a river flowing on each side. 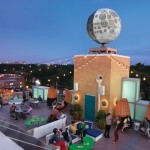 The designer motel has houses in the shape of white eggs and retro bubbles. The hotel has a large garden decorated with artistic sculptures. There is a bamboo garden and a flower garden where guests will be able to take a walk. The hotel is located in a region known for its architecture, its culture and its gardens. Visitors will be able to enjoy views towards the two rivers.